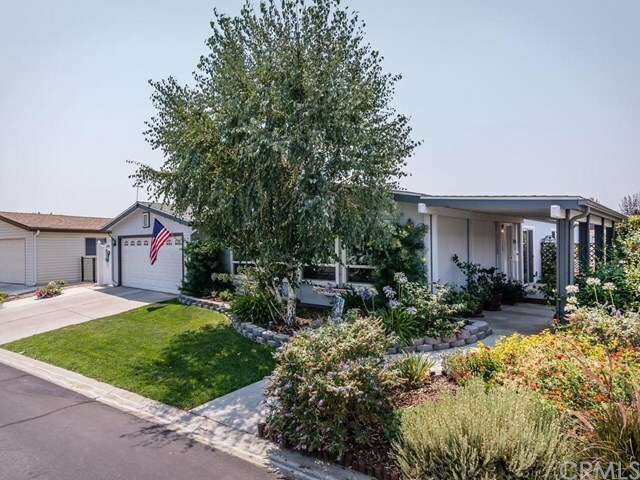 Beautiful 1440 SqFt home in active 55+ community of Quail Run Senior Estates. Gorgeous kitchen with granite counter tops, refaced cabinets and nice appliances. Spacious living & dining rooms. Enjoy sitting on the front porch in the morning enjoying your coffee. Entertain guest on the covered patio or enjoy the lush landscaping in the backyard. This home has a 2 car garage with an attached work shop. Well cared for home with attention to detail. Call your agent to see fabulous home.